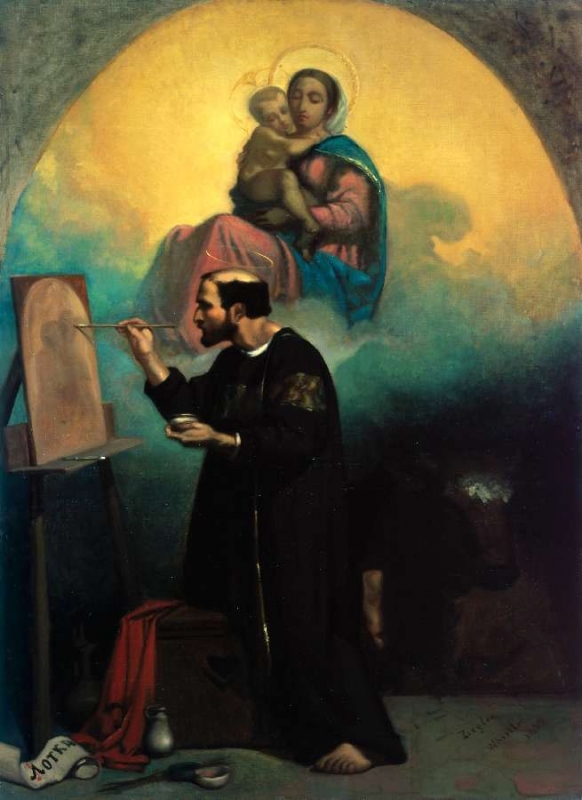 Ziegler's La Vision de St Luc, bought by the French State at the Salon of 1839, and hung in the Musée du Luxembourg in 1857, was deposited in the Musée de Dunkerque in 1872. It is formally recorded as going on display in the Luxembourg on 1 November 1857. The date of 1857 written on Whistler's copy implies that he painted it immediately after Ziegler's picture was hung in the museum. 1: YMSM 1980 [more] (cat. no. 15). 2: Archives du Louvre, LL 22. 3: Pennell 1921C [more], p. 171.